Beth J. Ranschau’s practice is dedicated to assisting clients navigate a variety of complicated legal matters by providing creative and efficient solutions. As a member of the firm’s litigation section, Ms. Ranschau’s practice covers a broad spectrum of general litigation matters including trade secret disputes, complex commercial litigation, and appellate practice. 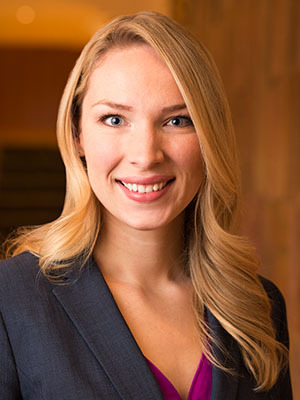 She has been recognized by Mountain States Super Lawyers as a Rising Star in the category of Business Litigation (2016-2018). Prior to joining Ray Quinney & Nebeker, Ms. Ranschau completed a judicial clerkship with the honorable Justice Jill N. Parrish at the Utah Supreme Court.